Item # 317306 Stash Points: 3,995 (?) This is the number of points you get in The Zumiez Stash for purchasing this item. Stash points are redeemable for exclusive rewards only available to Zumiez Stash members. To redeem your points check out the rewards catalog on thestash.zumiez.com. 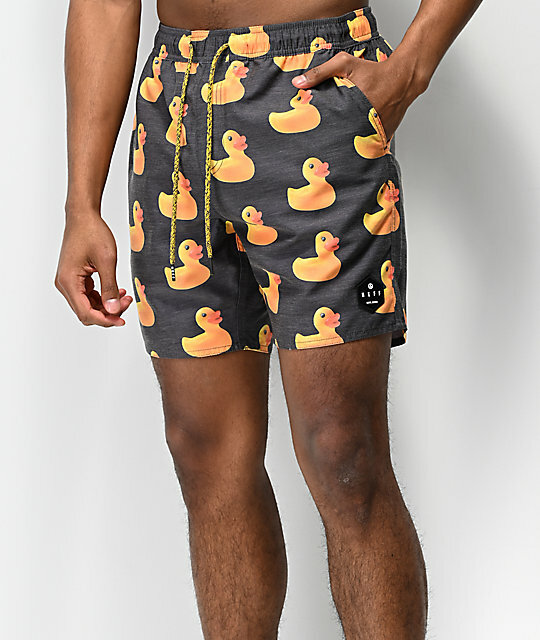 Show off your lighthearted style at the beach or pool, when you rock the Vintage Black Board Shorts from Neff. 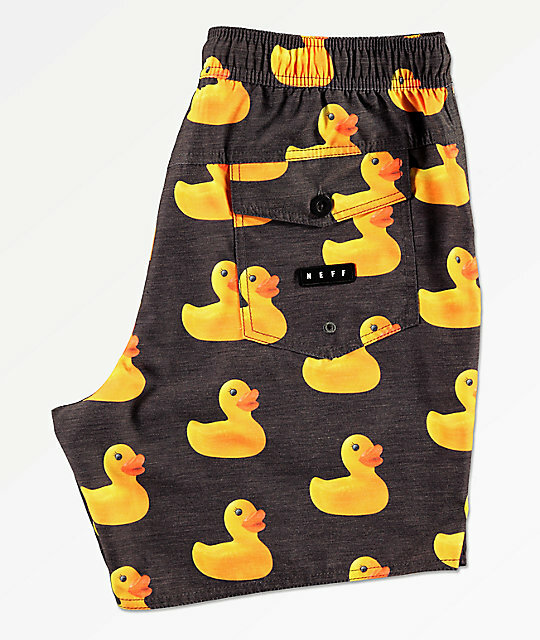 These relaxed fit board shorts feature an elastic waistband with adjustable drawstring for a custom fit. 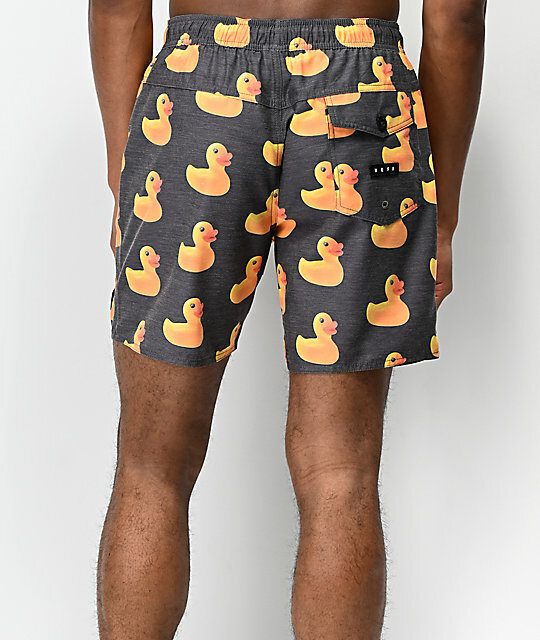 Yellow rubber duck graphics are scattered throughout for a fun and unique design, while a Neff logo patch at the left leg completes the look. Vintage Black Board Shorts from Neff. 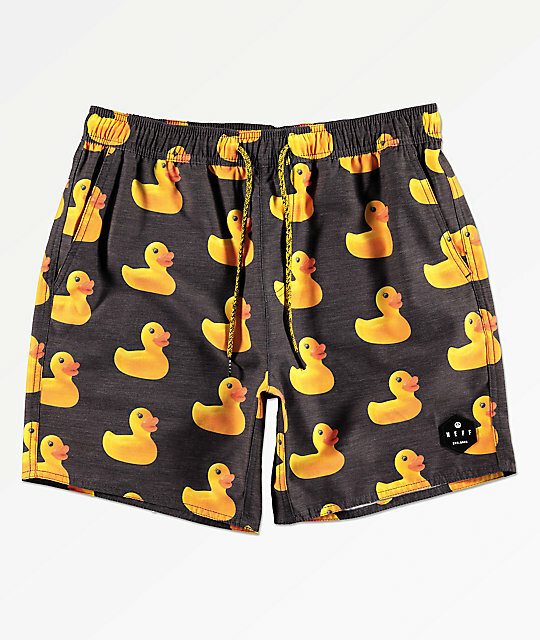 Vintage black colorway with yellow rubber duck graphics throughout. Right, rear, pocket with hook-and-loop closure.